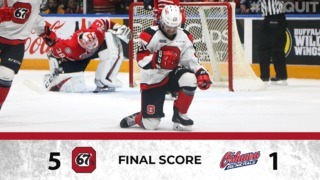 On Friday, February 19, Jake Smith was selected to be the 67’s Prospect of the Game. Jake plays left wing with the Orleans Minor Hockey Association. 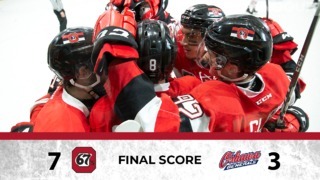 One of his favourite 67’s player is fellow left winger Travis Barron. Jake met Travis before the game and got his autograph. 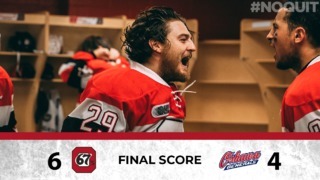 He also took part in High Five Alley, where he wished the entire team good luck as they took the ice to take on the Kingston Frontenacs.